The world is full of natural, if not altogether obvious matches. (Think chocolate and peanut butter, perhaps.) 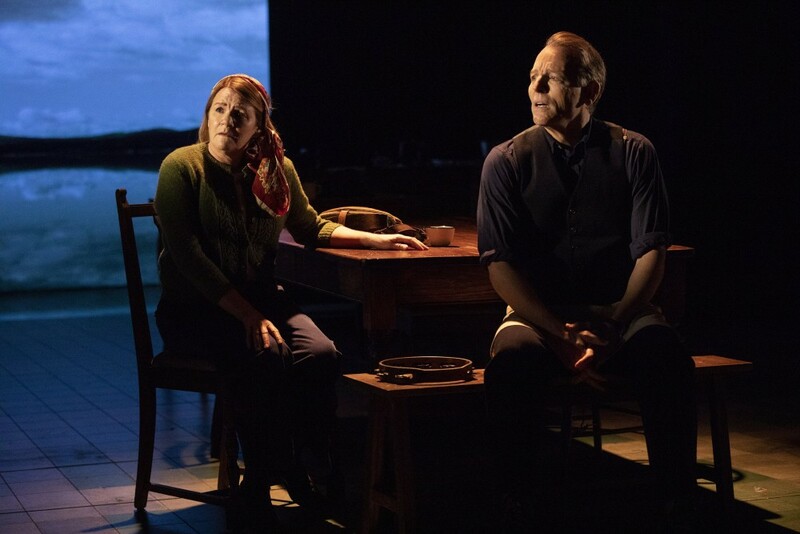 Now, add to that list the great Irish playwright Conor McPherson and the singular American songwriter (and recent Nobel laureate) Bob Dylan, whose seemingly disparate sensibilities have come together to create the haunting musical “Girl from the North Country,” which has arrived at the Public Theater in all-new production after two very successful stints in the U.K. In no way a conventional “jukebox musical,” McPherson (who created the piece and directed) uses 20 of Dylan’s songs – many from his later albums and most recognizable only to the troubadour’s die-hard fans – as stand-alone numbers that act alternately as commentary, inner monologue and mood enhancer to his rather simple tale. 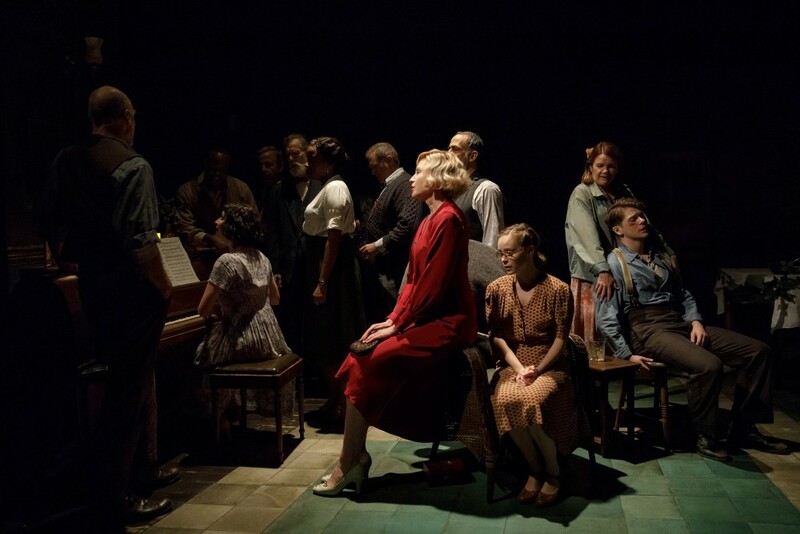 Intriguingly, in this production (as opposed to the one I saw earlier this year in London’s West End), the play itself feels more resonant, while the musical selections sometimes lack the excitement they did overseas. McPherson has departed from his native country to focus on the residents of a boardinghouse in 1934 Minnesota (the state of Dylan’s birth), each struggling with the financial Depression as well as their own personal unhappiness. The characters, ranging from the house’s frustrated owner Nick Laine to shady bible salesman James Marlowe, are mostly painted in two-dimensional strokes, so it’s especially fortunate that some of New York’s finest actors, including Stephen Bogardus, Marc Kudisch, Tom Nelis, Robert Joy and David Pittu, have been hired to give them extra heft. In fact, in pure dramatic terms, each of the 20 main players manages to do quite a lot with very little. First among equals is the extraordinary Mare Winningham as Nick’s mentally challenged wife Elizabeth. While her mind may not be all there, she is not so far gone that she is neither unaware of Nick’s affair with Mrs. Nielsen (Jeanette Bayardelle) nor of the unhappiness of her children, the hard-drinking Gene (a fine Colton Ryan) and the sullen, pregnant Marianne (an affecting Kimber Sprawl) – an African-American girl who had been abandoned as an infant in the boardinghouse. Winningham is often very funny yet ultimately poignant, and her renditions of Dylan’s best-known numbers, “Like a Rollling Stone” and “Forever Young,” sung in a strong pop-country voice, are simply indelible. Simon Hale’s arrangements, some starkly simple and others relying on intricate harmonies (especially helpful given the miniscule on-stage band) help bring all the songs to vivid life, while McPherson sparingly, if smartly, uses minimal stage movement from Lucy Hind, which takes good advantage of the Newman Theater’s stage. Obviously, Dylan fans may carp over the chosen selections (personally, I would have liked a more extensive version of “To Make You Feel My Love” than the one verse heard here), but one can’t but leave “Girl from the North Country” without an appreciation – whether new or renewed – of the “unwashed phenomenon” who has continued for over 50 years to punctuate the soundtrack of our lives. 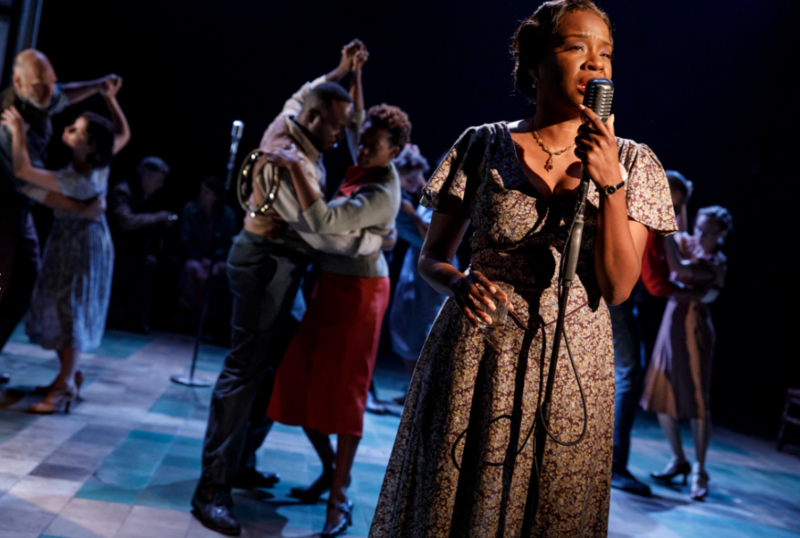 Girl from the North Country continues through December 23 at the Public Theater. Call 212-967-7555 or visit www.publictheater.org for tickets and information.